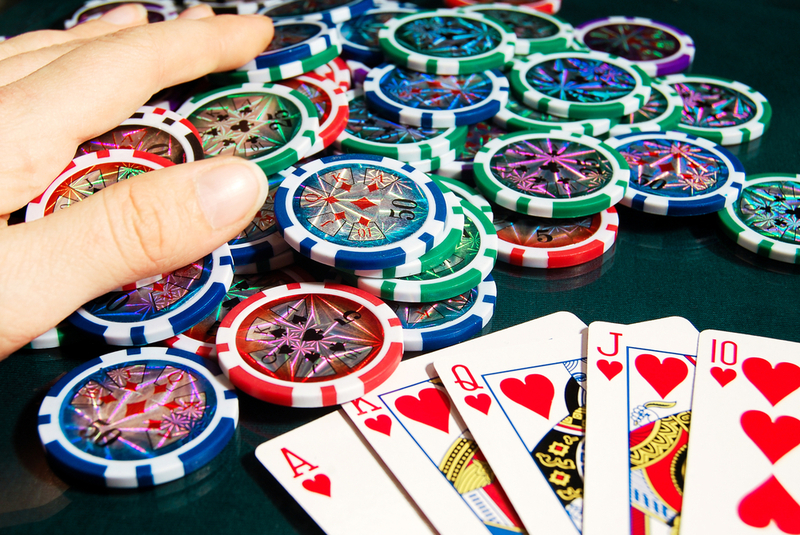 Unless you’re really new to the online casino UK scene, you have probably played Omaha poker online. This is indeed one of the most popular and widespread poker variants out there. While Omaha poker online is easy to learn, it takes some refinement – and above all, patience – to master this game. This article will briefly explain the game to new players before dispensing some all-around useful Omaha poker tips to help you sharpen your competitive edge. If you’re used to playing Hold’em poker you will feel right at home playing Omaha, as the games are much similar except for a seemingly trivial detail: in Omaha you’re dealt four initial cards, of which you have to pick only two to combine with the three community cards in order to create a winning hand. This is in contrast with Hold’em where you are only deal two hole cards, which relieves you of the privilege and pressure of having to choose the best available cards while keeping an eye on the community cards. Simply put, Omaha can be looked at as Hold’em with an extra variable: that of choosing the two hole cards out of four that will give you the strongest possible hand. While this may sound to the inexperienced player as a minor consideration, truth is those additional hand cards drastically increase the possible combinations a player may achieve once the river is turned. These added possibilities invariably translate into a more cerebral and complex game in which the power balance may shift unexpectedly as the community cards are turned. Players with previous experience can easily use their existing knowledge of poker tips to excel in Omaha, but they need to mindfully consider the layers of strategy introduced by the extra hole cards. If you’re looking for some useful Omaha poker tips, read through the next section very carefully. Patience is the single greatest asset of any poker player. This is especially true for Omaha Poker, where fewer than 0.5% of all the 16,000+ possible combinations you can be dealt initially will give you practically unbeatable odds of getting the winning hand. To become a world class Omaha player, you should be willing to sit out 199 hands before arriving at that one unbeatable hand. Since this is an incredibly high ideal of patience and perseverance that few players can hope to achieve, you can strive for the middle ground by learning to discriminate your opening hands and being decisive when you do make a move. The main key skill of the superior Omaha player is patience. You have to be able to sit around for several hands just watching your cards and feeling the texture of the board as well as the intentions and styles of the other players. We recommend that you always spend about a dozen hands folding and feeling the room before you start making moves. While doing this, stay focused on the cards you’re holding and wait for a powerful combination that fills you with confidence to make a winning move. To ensure your judgement is correct, patience is absolutely necessary… but it’s not sufficient. The second key skill of the superior Omaha player is discrimination. The truly unbeatable hole cards will only happen by you once in 200 hands. We’re talking essentially about getting a pair of Aces plus another high pair, or two very high pairs. Since it’s unrealistic to just fold persistently until you strike such an unbreakable diamond, you have to learn to discriminate which initial hands are of gold, silver or iron quality… as well as being honest about which hands are more akin to rubbish. Novice players always tend to lack discrimination skills, and mistake rubbish hole cards for potential gold: an obvious example would be getting four suited cards or three of a kind, which effectively make for nothing but a weak grade of iron in Omaha, since you would have to pick just two out of the four (effectively removing the remaining two from the game). Inversely, there are situations when a seemingly ordinary starting hand – like a pair of deuces – might turn out to be quite valuable when played right. In order to avoid losing your confidence and money, you must realistically gauge the winning potential of your initial cards within the possible combinations, keeping in mind you can only pick two of those four cards. The third key skill of the superior Omaha player is decisiveness. After you sit around patiently for several hands, carefully looking at your cards while waiting for a strong opening to be dealt to you and reading the atmosphere in the room, you will eventually reach a hand that holds promise and fills you with confidence. At this time, you have to switch from passive to active mode and really throw your weight around the table. Once you make up your mind to strike, you must learn to carry your decision through to the end. Even if you end up losing a seemingly strong initial hand to the whims of chance, exercise your patience and remember: whether you lose the lesson is entirely up to you.